8 Cause me to hear Your lovingkindness in the morning, For in You do I trust; Cause me to know the way in which I should walk, For I lift up my soul to You. 9 Deliver me, O LORD, from my enemies; in You I take shelter. This Psalm is a wonderful way to begin your day. Listen for God’s lovingkindness and always keep your trust in Him. Ask God to help you walk in His ways, in other words, how you conduct your life. Acknowledge to God you are His, your heart and soul belong to Him and ask God to keep you safe from enemies, danger, and snares; and lastly, that in Him you take shelter. Using the thoughts of these verses compose a prayer to begin your day. Record that prayer along with your other prayers in your prayer journal and then see how God is involved in your day as it unfolds. Recording how God is involved in your life is a wonderful faith builder. A couple weeks ago, as I sat down at my desk to have my quiet time, I looked out my picture window that faces the Catalina Mountains just to see what God had on display for me that day. Needless to say, I was stunned by the scene that was slowly unfolding before me. I immediately ran for my camera and took several pictures of that beautiful morning sunrise. I wrote the following in my personal journal; “Words fail to describe the beautiful sunrise that I am at this moment privileged to see and a camera’s picture doesn’t do it justice. God just keeps painting beautiful colors across the sky, bathing the clouds in reddish orange and yellow hues. This has been incredible to watch and as I write this with tears of joy running down my cheeks and a heart full of praise, I am in awe of this special blessing my Creator has given me this morning.” This beautiful morning scene reminded me of the words to some stanzas of one of my favorite hymns, “When Morning Gilds the Skies my heart awakening cries: may Jesus Christ be praised! Alike at work and prayer, to Jesus I repair: May Jesus Christ be praised.” Another stanza says “When you begin the day, O never fail to say, may Jesus Christ be praised! And at your work rejoice, to sing with heart and voice, may Jesus Christ be praised! All in all this song has 28 stanzas that celebrate more than natural wonders. It calls us to praise God whether we are at work or at prayer – whether in the night or the day – even when faced with the powers of darkness, which lose their power when subjected to praise to God. It calls us to praise God “through all the ages long.” What more is there to say except, I must praise my Jesus all the day. No matter if I am experiencing the highs or lows, may Jesus Christ be praised! The last stanza of this wonderful hymn of praise is, “Be this, while life is mine, my canticle divine. May Jesus Christ be praised! Sing this th’eternal song through all the ages long: May Jesus Christ Be Praised! The Bible is full of color, not only descriptive scenes, most of which we can imagine in beautiful colors, but also descriptions of how the different colors were used. On this holy week when we observe the last days of Yeshua’s ministry; the Palm Sunday procession, the cleansing of the Temple, the Upper Room, the Garden, the Trial, the Cross, and the Tomb scenes, I am reminded of the color red for the blood of Yeshua that was shed for you and me and the rest of the world. 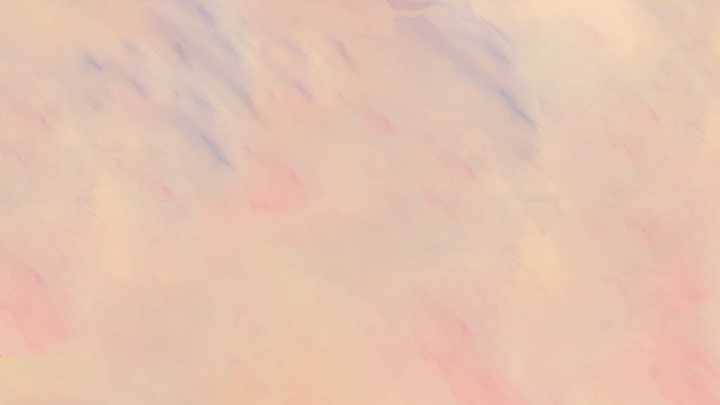 In doing some research on the colors of the Bible, I came across a wonderful website hosted by Sara Joseph, an artist, poet, and writer. The painting above was painted by Sara who gave me express permission to use it in this devotional. I would highly recommend visiting her website www.christian-artist-resource.com. Sara also gave me permission to use a devotional she wrote on the colors of red, scarlet, & crimson. Part of her devotional is below in “quotes”. You can read the rest of it on her website where she goes into more explanation of the colors of the Bible, can view her paintings and read her poetry. “Let us first examine red, scarlet and crimson, some of the more provocative colors in the Bible. While all three are sometimes used in the same sentence in the Old Testament, there seems to be a subtle hierarchy. Red is common, earthy and ruddy. Red was the color used to describe Esau and David; both vibrant, earthy men known for their impulsive appetites. Ram skins were dyed red and used as a covering for the tabernacle. (Ex 39:34.) A red heifer was required as a sacrifice for cleansing and purification. (Num 19:2) Red, as a color in the Bible, seems to be the organic hue of this world – a color reflected in dusty earth and burning fires. It is the color that is employed to represent the use of the material world, to atone for the destructive fires of human sin. The other two colors in the Bible, scarlet and crimson, on the other hand, seem to be associated with finer, more expensive things – the elegant woven, embroidered linen and royal robes. Its deeper, richer hues are synonymous with luxury. These two colors in the Bible, described the sumptuously ornamented robes of the priesthood, tabernacle hangings… Scarlet and crimson, are always used to describe objects of great labor, skill and cost. On studying the colors in the Bible, it appears as if when God refers to the cost of sin, scarlet and crimson are the colors of choice.
" Come now, and let us reason together, saith the LORD: though your sins be as scarlet, they shall be as white as snow; though they be red like crimson, they shall be as wool. "Isaiah 1:18 KJV How consistent that our sin, which cost us our fellowship with the Father, and an existence far below what He intended for us, should be expressed in the costly scarlet and crimson! The authors of the various books of the Bible, could not have fully comprehended the specific significance of color usage, or the unfolding plan of salvation. Yet they used the precise names of these colors, in context, with the exactitude of an expert artist. That is rather mind boggling, isn’t it? Unless another Author was the mastermind! Most precious of all, is the color used in the verse below describing the price that Jesus paid for each of us! As an artist, I know that you are conscious of harmonious color. When we paint, we make conscious color choices, sensitive to every nuance and variance in the colors. While sometimes intuitive, it is often the result of a good measure of training. The use of colors in the Bible reflects an unusual and astute knowledge of the subtleties of color. Knowing the diversity of authorship, (some of them as humble as shepherds and nomads) and the grand scope of the time that elapsed between the lifetimes of these authors, something becomes stunningly apparent. As we observe Holy Week, let us remember all God gave up to save us from our sins. Thank you Yeshua for Your ultimate life-giving sacrifice and for giving all who believe in Your death and resurrection, the hope of Everlasting/Eternal life with You. Thank You!!! 11) But let all those rejoice who put their trust in You, let them ever shout for joy, because you defend them: let those also who love your name be joyful in You. 12) For you, O LORD, will bless the righteous; with favor and you will surround him as with a shield. Trusting in God is sometimes much more difficult than anticipated. Handing our problems, concerns, worries or need over to God, and letting go sounds easy, but in our human emotions, letting go is difficult if not impossible. Praying for God’s help is easy, waiting for God’s help is nearly impossible. Asking God for wisdom and guidance and not waiting for God’s answer, or making the decision to ignore God’s explicit guidance is never helpful. However, God in His Word in Psalm 5:11-12 clearly teaches that when we do trust God with our cares, problems, needs, or whatever it may be, that we can then rejoice and shout for joy because God will defend our problems, needs, cares and lift our burdens. 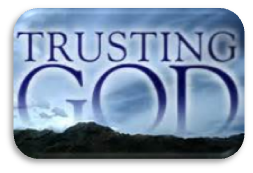 When we truly trust God with absolutely everything, we are blessed with favor and God’s protection and His shield. Proverbs 3:5-8 5) Trust in the LORD with all your heart, and lean not on your own understanding, 6) In all your ways acknowledge Him and He will direct your paths. 7) Do not be wise in your own eyes, fear the LORD and depart from evil. 8) It will be health to your flesh and strength to your bones. Enjoy Psalm 119, read some verses each day, and keep in mind this is God’s instructions and teaching for a blessed, complete and happy life. 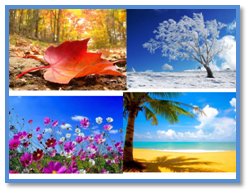 In all of the days God that has set for us here on planet Earth, we will always be in on or the other season. If your season is a difficult season, always remember it will change, because Vs 11 says, “He has made everything beautiful in His time….” It’s always about God’s timing and not ours! When we stop and honestly think about it there are times, because of circumstance, when we wonder if God is close bye, intervening in the affairs of this world. Sometimes it is a though the world as we know it is spinning out of control and all the familiar and comfortable ways of our society have morphed into an unrecognizable secularist system that is trying its best to exclude God from every part of its existence. The good news is this: God is still there intervening every day in ways that are oblivious to those who do not know His ways and do not know what His Word teaches about Himself. The examples are many, but I want to share just a few that should alert the world that God is in charge, still on His throne and still in control. For instance in Job Chapter 37 as God sends forth lightening, rumbling comes from His mouth; He tells the snow to fall upon the earth, likewise the gentle rain and the heavy rain to fall; by the breath of God ice is given and broad waters are frozen; He saturates the thick clouds with moisture and scatters bright clouds at His command and causes them to do what He commands, whether for correction, for His land or for mercy. In Job Chapter 38 God makes it known that He laid the foundations of the earth; He determined its measurements; He stretched the line upon what the earth’s foundations were fastened; He laid the corner stone. He alone shut in the seas when they burst forth and set the bars and door and He fixed the limit for them, when He said, “…this far you may come and no further. Here your pounded waves must stop.” He commands the morning each day, and causes the dawn to know its place that it might take hold of the ends of the earth. He has a treasury of snow and hail which He is storing for the day of trouble, the day of battle and war. From Him comes the ice that freezes the waters of the deep. He asks who has put wisdom in the mind and given understanding to the heart? Psalm 139 tells us God has known each one us from the womb, and all of our days are already written in His book before we ever had one day. Psalm 136: 4-9 further acknowledges God’s sovereignty and mercy. Psalm 19: 1-6 shows us the heavens declare God’s glory. Daily in some way you will encounter God’s involvement and interaction in the activities of planet earth and everyone on it. Rest assured God know our tribulations and He will stay true to His Word if we hold fast to His promises and diligently pray about the troubled time. Psalms 103 is a window into the heart of God. The first 17 verses extol a loving, gracious and forgiving God. Those attributes include some of the following: He forgives our iniquities, heals our diseases, redeems our lives from destruction, crown us with loving kindness and tender mercies. He satisfies our taste for good things so that we are renewed. He executes righteousness on our behalf and brings justice to the oppressed. He made known His ways to Moses (the giving of the commandments/Torah). His acts were known to the children of Israel (all the miracles performed in the Exodus and the subsequent journey). He is merciful and gracious, slow to anger and abounding in mercy. He will not always strive with us, nor keep His anger forever and has not dealt with or punished us according to our inequities. As high as the heavens are above the earth so great is His mercy to those who “fear” Him. As far as the east is from the west He has removed our transgressions. As a father pities his children, so Yahveh pities those who “fear” Him. He knows us (and our frailties) and remembers we were and are dust. He knows we are fragile like grass or the flowers of the field; when the wind sweeps over us we are gone and we are remembered no more. But the mercy of Yahveh is from everlasting to everlasting on those who fear Him; and His righteousness is to the children’s children, to such as keep His commandments, who remember His commandments and do them. What does it mean to “fear the LORD”? The Hebrew word Ya-rey (fear) has several uses. The Gesenius Hebrew-Chaldee Lexicon give as one use: to fear, to reverence, specially (a) to fear God, (b) to reverence Him as the avenger of wrong; hence to be godly; upright, e.g. Lev. 19:14, 32. What does it mean, “to keep My commandments”? The Hebrew word for commandment mets-veh, (commandment) the Gesenius Hebrew-Chaldee Lexicon gives a definition of “a command, a precept,” especially used of the precepts of God. Deut. 6:1-3, 25, 7:11 is a sample of Scripture regarding God’s commandments. As of yet, these Scriptures to fear God and keep His commandments have not been rescinded. 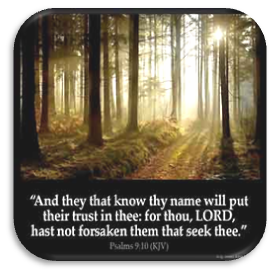 In keeping with Psalm 103 to receive all that God promises, one must fear Him and keep His commandments. As frail human beings it is an impossible task, but with God’s strength and encouragement we should strive always to keep His commandments and His reverence before us daily. Serving others comes in many shapes and sizes as well as time factors and economic considerations. When one is called to serve in some way, the above factors are often considered before someone decides to volunteer to serve. One very important factor in the decision to serve that isn’t mentioned is that God is doing the calling to serve. In other words, when serving others, one is in reality serving God. God uses others in one’s life to call upon them to further His kingdom or serve Him in some way that is not apparent at the time. However, in hindsight one can see the impact their service has had in someone else’s life that God may be preparing to serve Him in some amazing way. I have volunteered in many different areas, but I think one of my most rewarding areas was volunteering as a MOPS (Mother’s of Preschoolers) mentor to young moms, encouraging them in their faith as well as family life. Spending a year with these young moms was a time of spiritual growth as well as helping to develop their parenting skills. Teaching the Bible and leading young moms in their faith, then seeing them teaching their little ones about God and Jesus was truly a blessing to me. I am sure God has special purposes for these young moms and their families. Sometimes serving others can be as simple as offering someone a ride, or maybe offering to help someone in another way, or answering their request for some help of some kind. Making Proverbs 3:27 a motto brings many blessings and spiritual rewards. Always continue to seek serving based on Proverbs 3:27 and God will surely bless you. Psalm 119 is the longest chapter in all the Books of the Bible consisting of 176 verses. 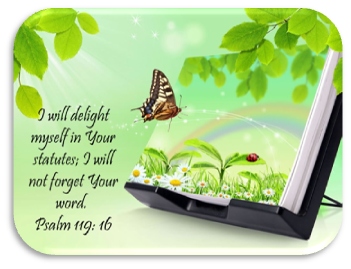 Each verse reflects on God’s Word, its importance, its value for praising God, its teaching, its encouragement, its truth, praying, judgment, joys and in general how we can live by God’s Word. And many times, within the pages of God’s Word are answers to prayers. Throughout the Bible God’s Word is referred to in many ways, such as, the Torah, Law, or law, Testimonies, the Way, Precepts, Statutes, the Word, Judgments and Commandments. The first verse of Psalm 119 teaches we are blessed when we walk “or live” in the Law, (or Torah) of Yahveh. Verses 2-8 teaches us that we are blessed when we keep His Testimonies and seek Him with our whole heart. When we walk, “or live” by His Commandments it keeps us from iniquity. When we diligently keep and follow His Statutes we never have to be ashamed. When we read God’s Statutes it causes us to praise God with an upright heart. And as we learn from God’s righteous judgments we desire to keep His Statutes. There are 22 sections to Psalm 119, each one headed by a letter in the Hebrew alphabet. Reading one section daily in an ongoing discipline is an easy way to be blessed by God’s Word daily for praise and worship.